Stratford-Upon-Avon and fast track entry to Shakespeare’s birthplace. Private tour of Shakespeare’s schoolroom and guildhall. 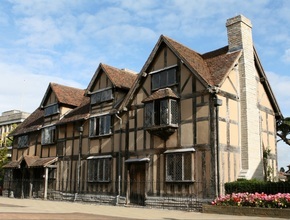 Described as ‘one of the most atmospheric, magical and important buildings in the whole of Britain,’ Shakespeare’s Schoolroom and Guildhall opened it’s doors to the public for the first time in 2016 to mark the 400th anniversary of the writers death. Step back in time to the 1570’s when William Shakespeare was a pupil learning to read and write, and see the room where leading theatre companies came to perform – a strong influence on the young playwright. You will be invited to enjoy a private tour before the school opens to the public in the morning, exclusive to Premium Tours, including the chance to take part in a tudor lesson, write with a quill and ink, witness the rare medieval wall paintings and much more. Not to be missed. 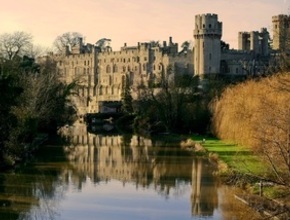 Enjoy free time for lunch in Stratford-Upon-Avon. 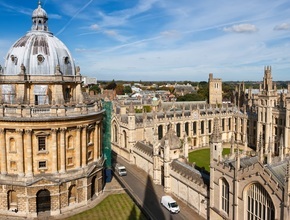 Oxford, the city of dreaming spires, boasts one of the world’s greatest - and oldest - universities, as well as some of the finest architecture in Europe. The colleges themselves, which make up the university, are amongst the architectural highlights, their ivy-clad stone walls protecting beautiful chapels, halls and libraries. Soak up the atmosphere of this remarkable town with a guided walking tour of the city or take tea in the shop where the real-life Alice (inspiration for Alice in Wonderland) bought her sweets! Our trip to Oxford promises an unforgettable experience for young and old alike. On the way to the remarkable city we will also enjoy a short drive through the scenic Cotswolds. This tour will conclude in/near Victoria station at approximately 7pm.